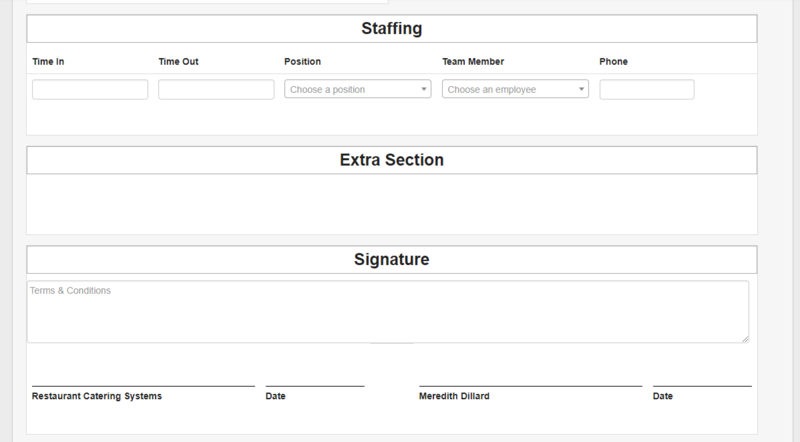 In this article we will go over how to use a BEO Template with an order. Everything is editable in the template. Once you having chosen which template you want to use for a specific order, you can the pre-written information. 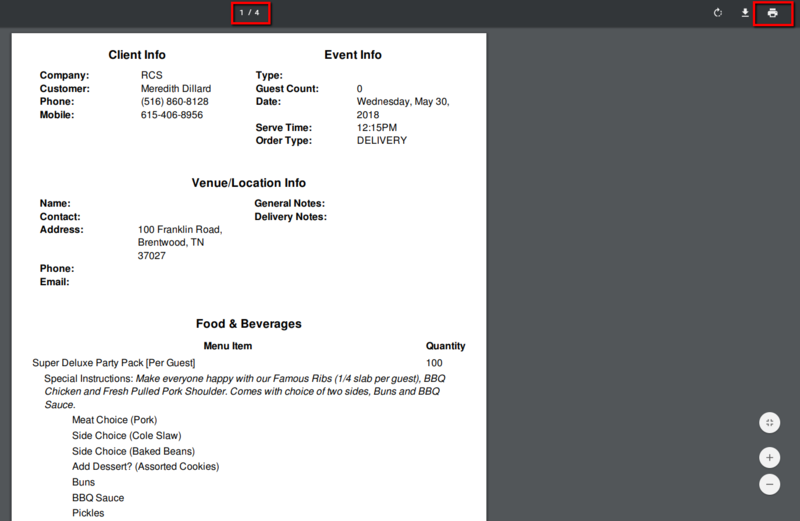 So if Meredith Dillard is customer, you can edit it to read: Meredith & Matt Dillard. Note there is a video that will show you how to take and order and then apply the BEO template to the order as well. 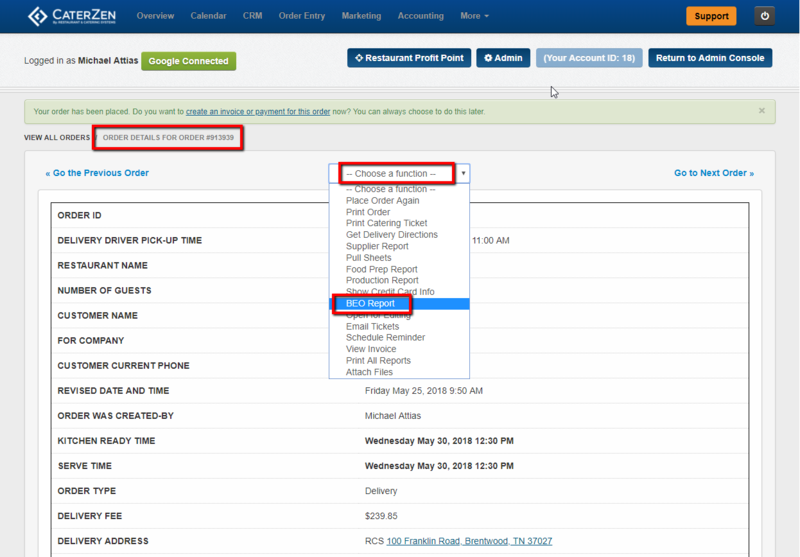 1 - Once your order has been placed under the Order Details Page and the Choose A Function Box you can select the BEO report. 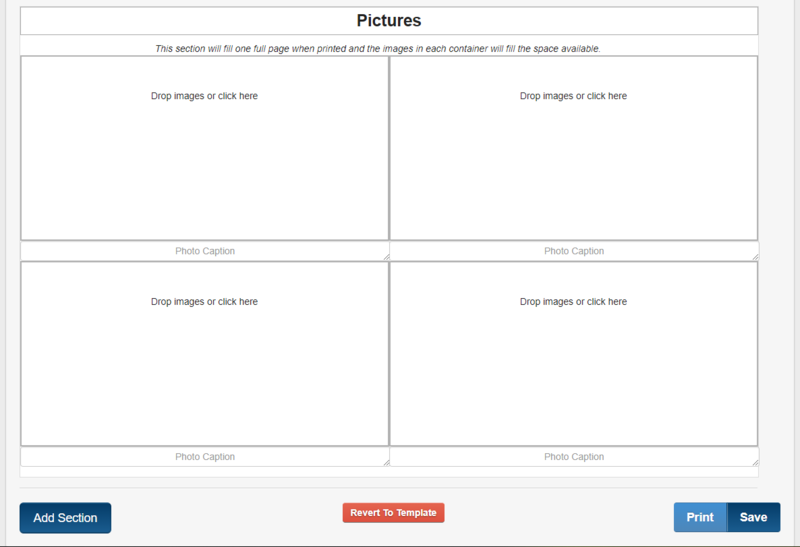 3 - Then you will choose which BEO template you need for this order. 4 - Your BEO will be pre-filled out according to the order that you placed. Some things will need to be filled out still. Note that anything can be overridden or deleted out if needed. 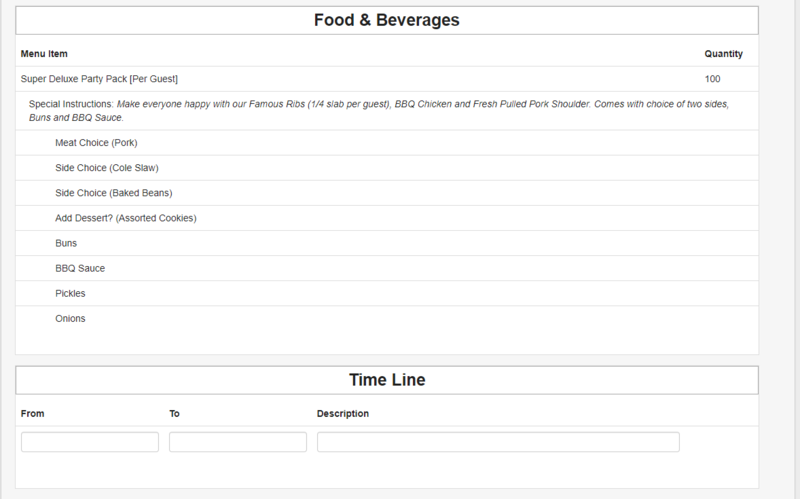 5 - Some of the Sections will be pre-filled with the information from your order. Client Info, Event Info, Venue/ Location Info, Food & Beverages, Pull Sheets, Rentals. Note that if something is not filled out (for example the mobile number) you can add that into the BEO. 6 - If you need to override something you can do that as well. 7 - Some Sections will still need to be filled out. Time Line, General Notes, Staffing, Extra Section, Signature, Pictures. 8 - If you are not using a Section you can delete it out. 9 - Once you are done with all additions/ changes make sure click Save at the bottom of your BEO template. 10 - Note that you can add a Section if needed and revert the Template back to the original format as well. 11 - You can print your BEO from the BEO template page. It will Download as a PDF file and then you can open and Print. You have now learned how to apply the BEO template to an actual order.